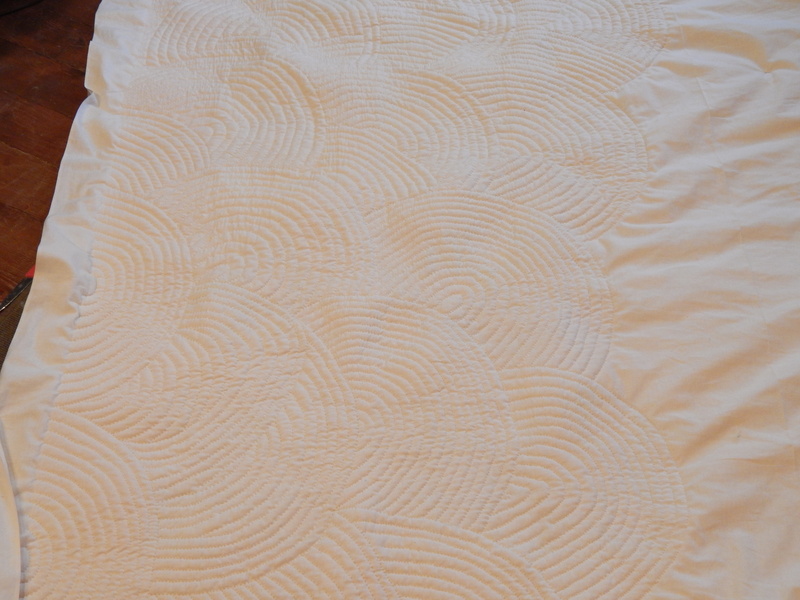 I am getting near the half way point on the current quilt. I think it will be a week yet before it is finished. 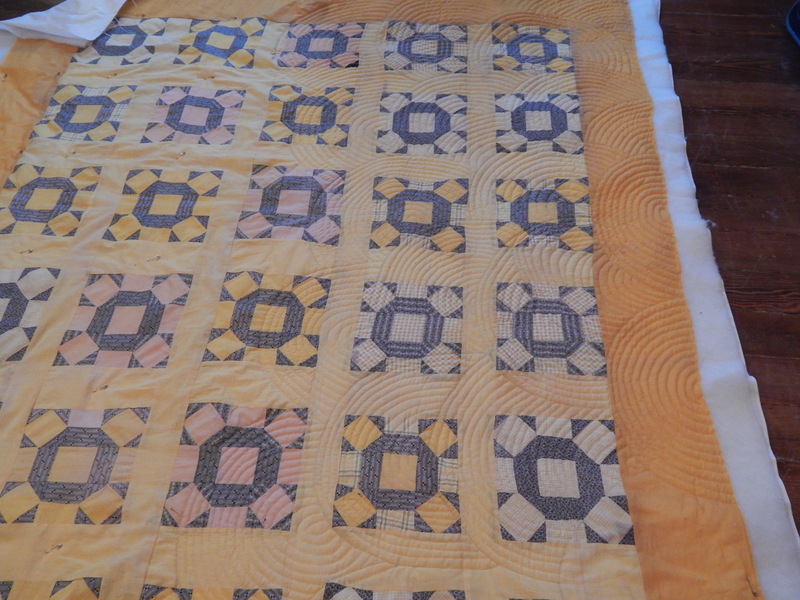 That quilt is spectacular! And with Teddy on it, it’s even better! 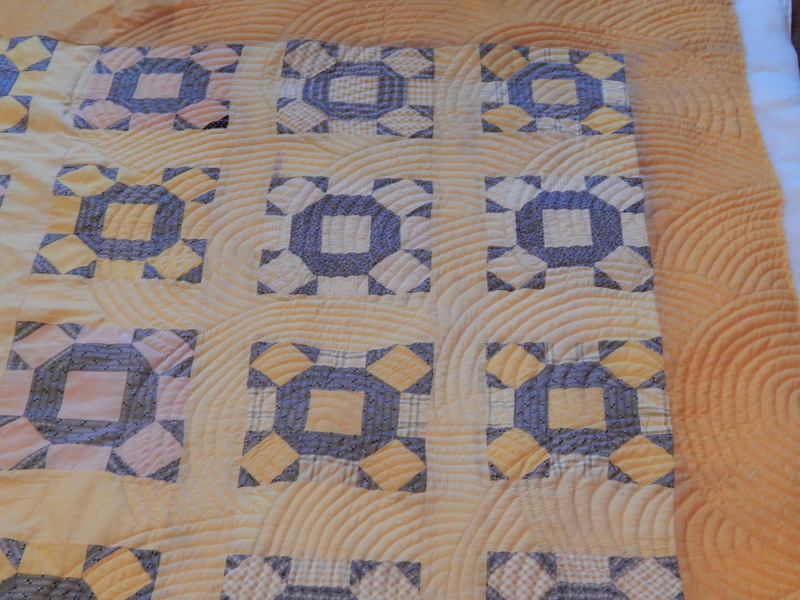 Tim, I must have missed how you came to use the “fan” quilting for this quilt. Are you doing a random pattern….or did you draw it out?? I just LOVE it. 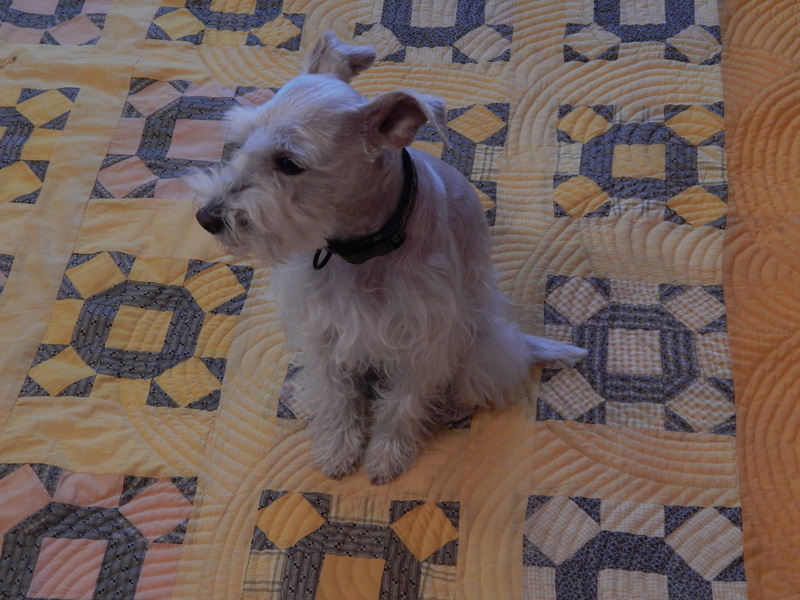 I am thinking that I too must do that to one of my quilts. The new snowflake is great too. It makes so much sense! Thank you, Tim!!! Tim, you are amazing, love the snow flakes, I would never be able to create something as beautiful as these last two. It must take a lot of practice to learn what is needed to create such lovely snowflakes. I also really admire your beautiful hand quilting. 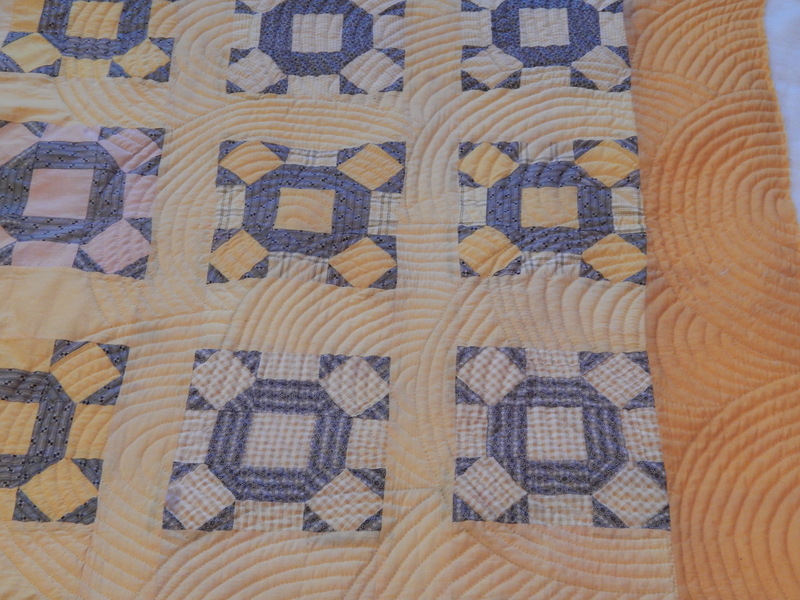 Such beautiful hand quilting you are able to produce. Keep up the good work. Enjoy!!!!! 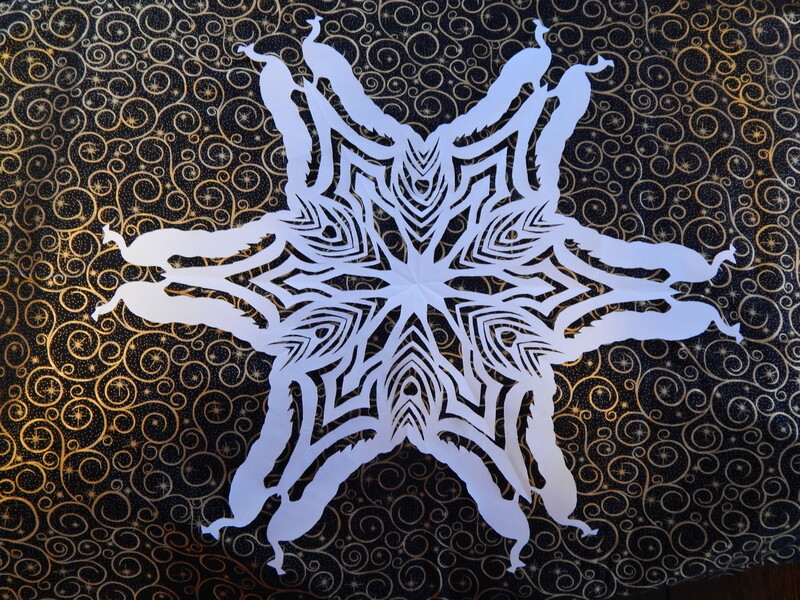 Loving the snowflakes – are these your own designs? I just came across your website through Pinterest. 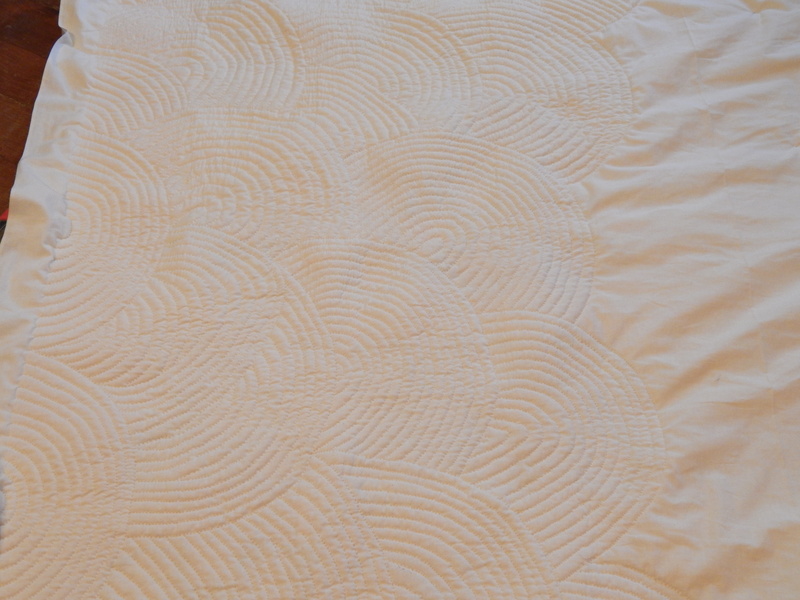 Your quilts are impressive but I never knew what was possible with snowflake designs until I say yours. 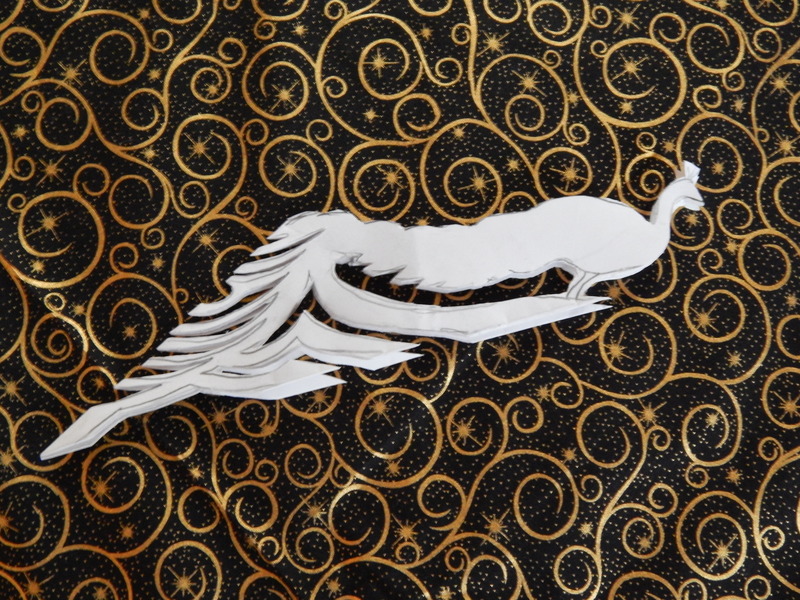 Love the peacock design- brilliant!